Share the joy of singing with every child in your life. Quickly create a fun and uplifting Singing Time every week with no stress or headache! Whether you re a chorister, teacher, or parent, this is the best resource for teaching children a love of the gospel through music and song. 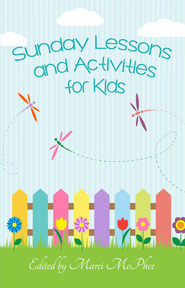 Contains multiple lesson ideas for each song in the Children s Songbook, over 100 illustrations to customize for multiple uses, and simple instructions, regardless of your level of musical experience.